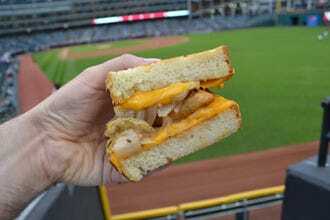 Parmageddon from Progressive Field Wins Best Ballpark Food! Gone are the days of simply peanuts and Cracker Jacks at a ballgame. 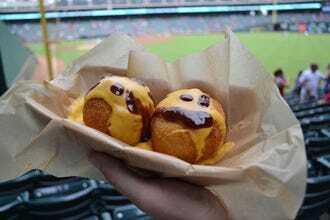 Today, ballparks are going above and beyond to bring new, interesting and sometimes bizarre concessions to hungry fans. Melt Bar and Grilled brings their innovative twists on the classic grilled cheese sandwich to hungry fans at Progressive Field, home of the Cleveland Indians. The Parmageddon is a grilled cheese made with sharp cheddar and stuffed with a potato and onion pirogi, sauteed onions and Napa vodka kraut. Citizens Bank Park, home of the Philadelphia Phillies, has more than one cheesesteak on offer, but our experts picked the one from Campo's Deli as their favorite. 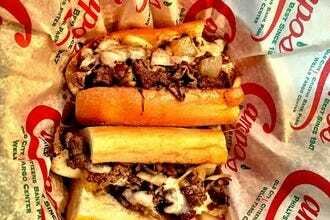 This hearty sandwich comes with or without onions and with a choice of American, Provolone or Wiz. Craving something light and refreshing at the ballpark? 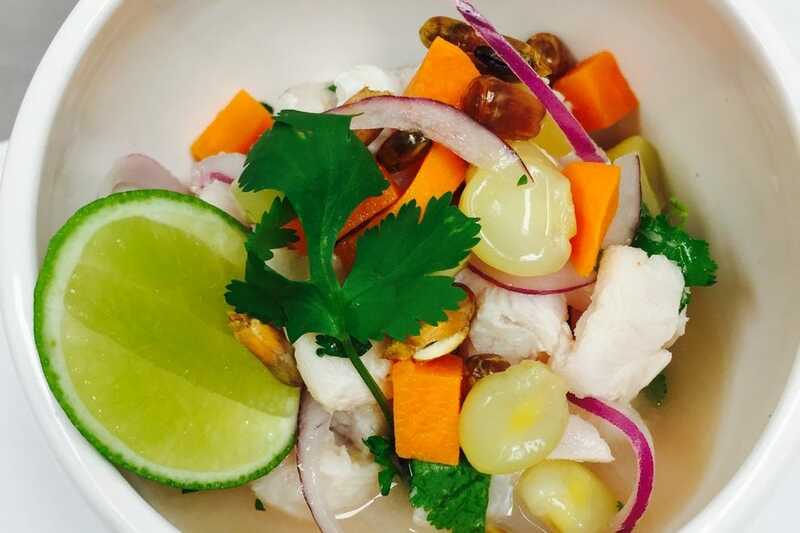 Head to Taste of Miami at Marlins Park, home of the Florida Marlins, to sample some ceviche – a mixture of fresh tilapia, yellow corn, red onions, lime juice and chips for dipping. Fans of the San Francisco Giants at AT&T Park are in for a seafood stuffed treat, an iconic Crazy Crab'z Sandwich. 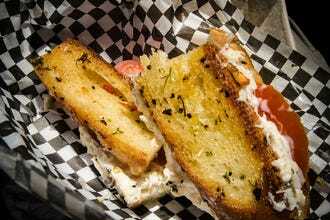 This concoction is made with Dungeness crab and tomato on buttered and grilled sourdough. Local eatery Rimel's Rotisserie has a location at the Padres' Petco Park on top of the Western Metal Supply Co. Building. 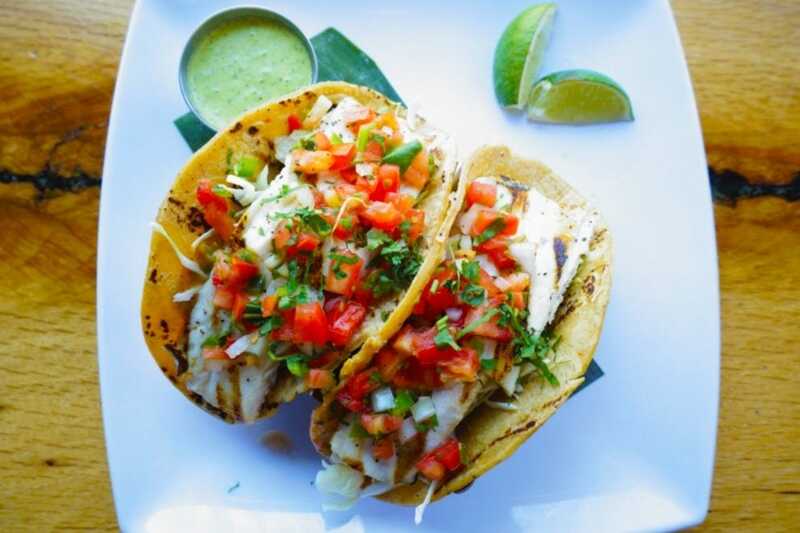 The fan favorite here – as well as a favorite of our experts – are the grilled mahi mahi tacos, made with corn tortillas, salsa fresca, cabbage, spicy spread and green chile garlic sauce. When in Canada, eat poutine! Fans cheering on the Toronto Blue Jays at Rogers Centre can sample a creative take on the classic Canadian dish. This one's made with cauliflower and cheese curds topped with gravy and green onions. 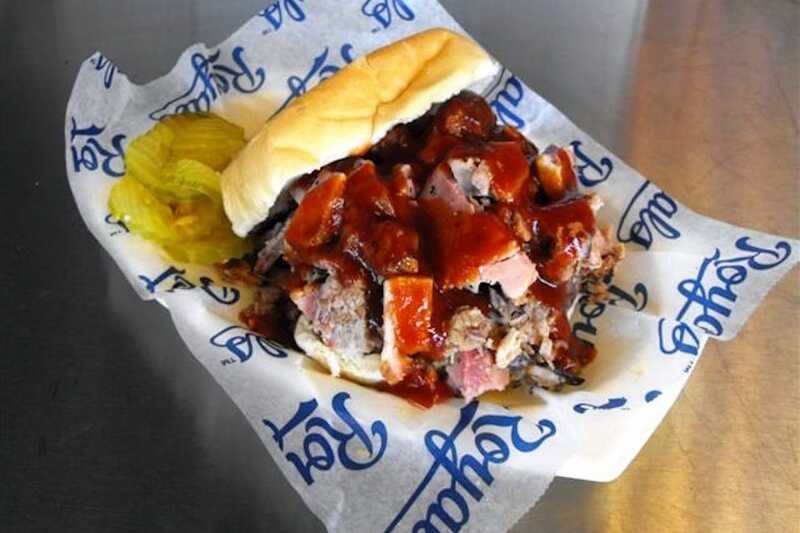 Kansas City is famous for its barbecue, and fans watching the Royals play at Kauffman Stadium can sample this local specialty at a ballpark installation of Sweet Baby Ray's. While there's a full menu to choose from, the burnt ends basket is a winner in our book. A taste of Texas rolled into a golden-fried ball – that's what's on offer at the Texas Rangers' Globe Life Park in Arlington. The Brisket Mac & Cheese Balls are made by combining macaroni and cheese with smoked brisket, rolling them into balls, coating them in a house-made batter and frying them, so they're crispy on the outside and gooey on the inside. At Chase Field, home of the Arizona Diamondbacks, fans can bite into the flavors of Tucson with the Bisbee Tamale. This vegan rendition of the Southwestern specialty is stuffed with soy chorizo, potato and pinto beans and topped with salsa and guacamole. It's sold at Taste of Chase. One of the new offerings at Houston's Minute Maid Park this season is also one of its most delicious: the Sweet Potato Waffle Chicken Sandwich. 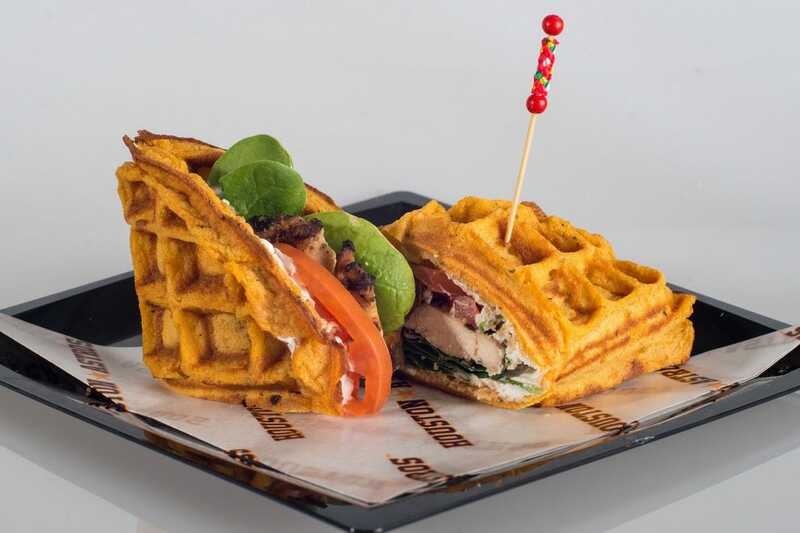 Slices of grilled chicken breast are piled between two sweet potato waffles and topped with Greek yogurt, baby spinach and sliced tomatoes. 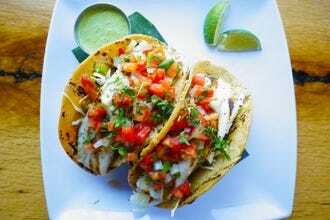 While there are plenty of outlandish foods introduced each season, 10Best wanted to find the best bites available in the Major Leagues. We enlisted the help of a pair of ballpark food journalists to narrow things down to 20 tasty ballpark items available this season. Then we opened it up for voting, and our readers have been casting their ballots daily for the past four weeks. A panel of experts picked the initial 20 nominees, and the top 10 winners were determined by popular vote. Experts Bennett Jacobstein (The Joy of Ballpark Food: From Hot Dogs to Haute Cuisine) and Malcolm MacMillan (The Ballpark Guide) were chosen based on their knowledge of and passion for American ballparks. Additional nominees in this category included Boog's Turkey Sandwich from Oriole Park at Camden Yards, Cheese Curds from Miller Park, Foot Long Chicago Hot Dog from U.S. Cellular Field, Fuku Spicy Fried Chicken Sandwich from Citi Field, Gourmet Knishes from Yankee Stadium, H&F Burger from Turner Field, Rocky Mountain Oysters from Coors Field, Skyline Cheese Coney from Great American Ball Park, Steak and Cheese Sandwich from Fenway Park and Wild Rice Soup from Turner Field. Congratulations to all our winning concessions, and make sure to keep this list handy next time you head out to a ball game! 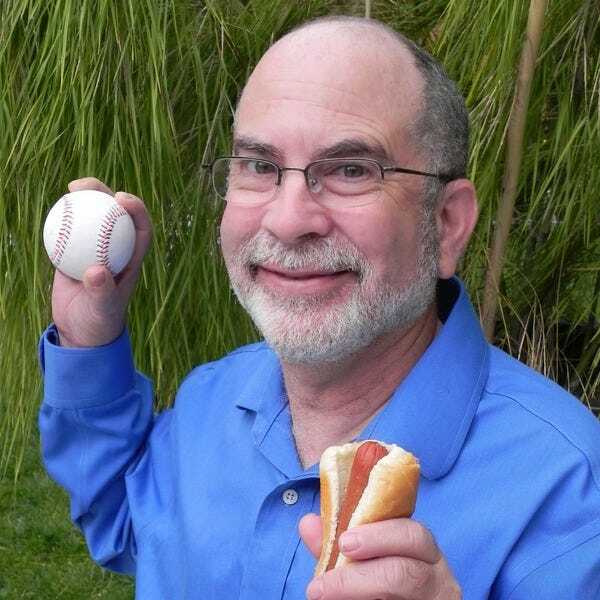 Bennett Jacobstein is the author of The Joy of Ballpark Food: From Hot Dogs to Haute Cuisine, and chair of the Society for American Baseball Research’s Concessions Committee. He currently works in the concessions stand at Municipal Stadium, home of the Class A Advanced Affiliate of the San Francisco Giants. He enjoys both baseball and food but considers himself a much better eater than ball player. He had a two-year Little League career in which he went two seasons without getting a hit. His only RBI was when he got hit by the pitch with the bases loaded. When not batting or sitting on the bench, he would be found in right field praying that the ball didn't get hit to him. 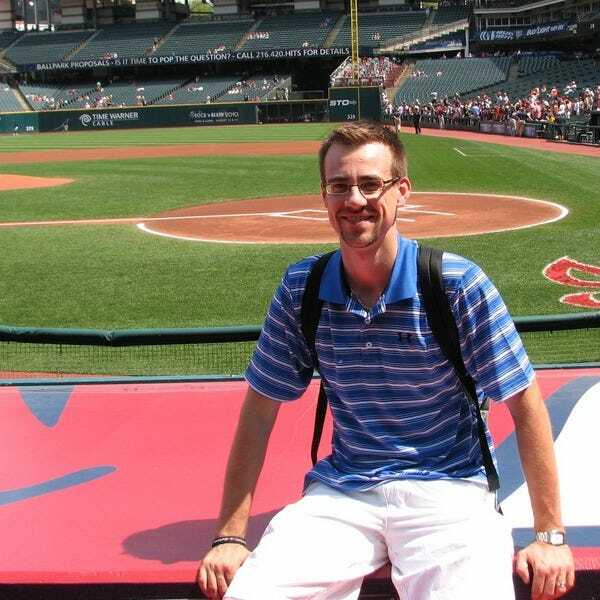 Malcolm MacMillan is a journalist, avid baseball fan and founder of The Ballpark Guide. His website features tips to help fans get the most out of their ballpark visits, including advice on how to save money on parking, find the ultimate seat, eat the best food and snag baseballs. Malcolm’s blog takes the reader, through his stories and photos, on his road trip adventures to new ballparks each summer. He has been to more than 60 stadiums across the major and minor leagues since 2010.